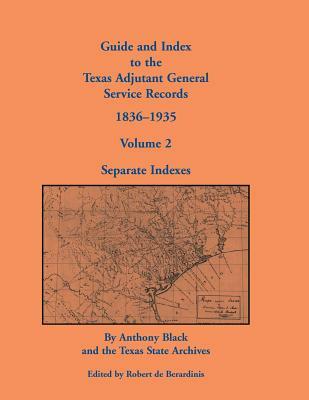 This book is aimed at genealogists with Texas roots, genealogists in search of missing ancestors (perhaps they did "go to Texas"), and also readers interested in Texas and local history. The Telegraph and Texas Register was born at the same time as the Texas Revolution, chronicling the momentous events of that conflict for its "Texian" subscribers. In the days of the new Republic of Texas, it emerged as the Texian national newspaper. Its pages were filled with news of murders, fatal encounters with Indians and Mexicans, unusual deaths, marriages, probate proceedings, and ordinary events of the new Republic. The gleanings of genealogical information document thousands of events that can often be found nowhere else. This information will provide family and local historians with important source material. It will also assist researchers who have been hampered by the loss and destruction of county records, as well as the absence of 1830 and 1840 Texas censuses. Finally, this volume helps to document elusive folks who sought to avoid either creditors or the law by "going to Texas. "The index has 10,000 references to individuals and a place name index with references to hundreds of towns, cities, counties, forts and frontier settlements (2,000 references). The book also includes a separate index to slave names.Kevin Ladd has served as director of the Wallisville Heritage Park, a genealogy research center in Chambers County, Texas, since 1981. He is also chairman of the Liberty County Historical Commission and a longtime member of the Texas State Historical Association, the East Texas Historical Association, and other such organizations. He is the author of two books on Chambers County history.